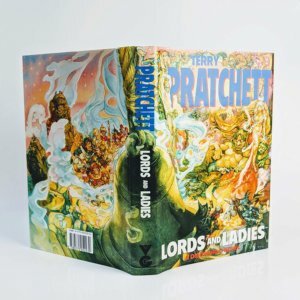 Lords and Ladies By Terry Pratchett First edition, first impression (Gollancz, 1992). Signed by the author to the title page. Jacket illustration by Josh Kirby. Fine book in a fine dust jacket with just hints of edge wear in places to top edge; very small blue mark to foot of spine panel verso. 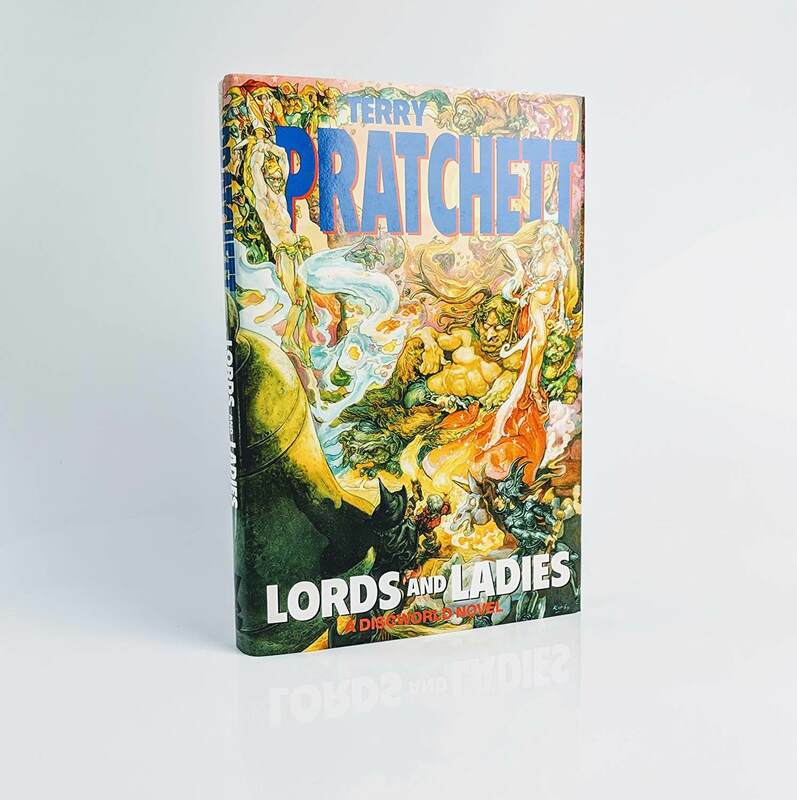 An excellent, crisp example of the fourteenth 'Discworld' novel.